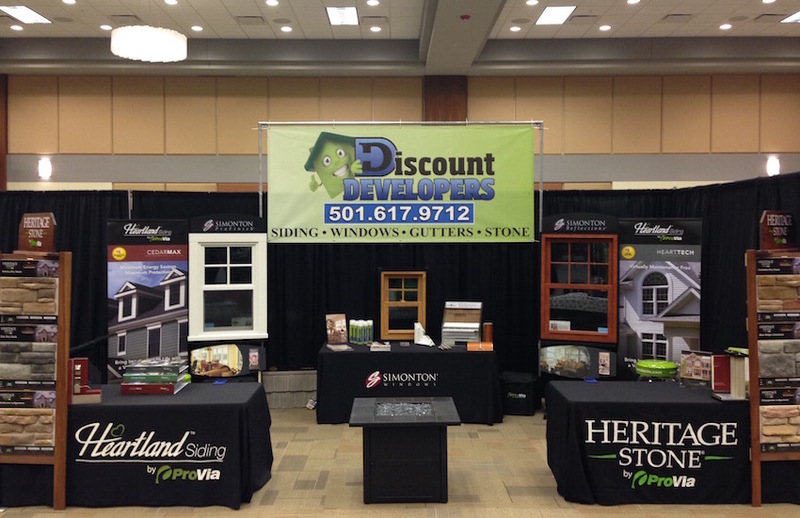 Come join Discount Developers a the 2017 Home and Garden Show in Benton Arkansas! Tickets sold out quick last year so be sure to reserve your spot soon. The show will include landscape experts, home builders, home improvement specialists, audio visual experts, insurance agents, home decor, and ALL OTHER TYPES of vendors in the home & garden industry. We will have our window, siding, door and roofing lines on display! We will also be having a raffle, so be sure to show up early to put your name in. Feel free to bring your kids. We'll have candy, coloring books and crayons for their enjoyment!